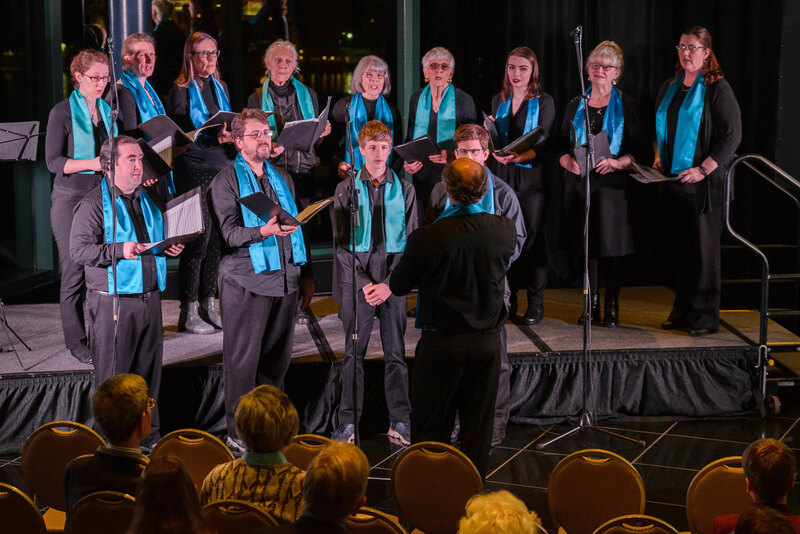 The Interfaith Choral Project performs during the celebration of the bicentennial of Bahá’u’lláh 's birth at the Rooms on Oct.21. A bicentennial event at the Rooms on Oct. 21 not only celebrated the life of Bahá’u’lláh but also echoed His call to peace, justice and unity. 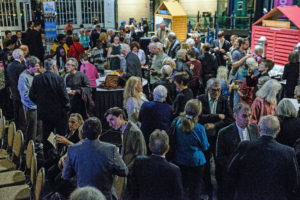 On Saturday, October 21, more than 160 people gathered at The Rooms cultural centre to celebrate the bicentennial of the birth of Bahá’u’lláh, the Prophet-Founder of the Bahá’í Faith. Joining members of the Bahá’í community for the celebration were family, friends and guests, including senior representatives of several faith communities and various immigrant groups. 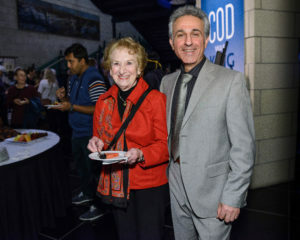 The event comprised an overview and celebration of the life and mission of Bahá’u’lláh, whose teachings revolve around the oneness of humanity. Bahá’ís understand the world to be on the threshold of an age in which education for all, equality of women and men, a just and equitable system of governing the earth, and the harmony of science and religion will be among the values and achievements of a prosperous and peaceful world society. The ideal of the unity of peoples and cultures was reflected in the recitation of two special prayers. The evening opened with a prayer in Inuktitut by an Inuit Bahá’í, who signaled the start and finish of the prayer with drumbeats. The evening closed with the chanting of a prayer by a local Persian Bahá’í. 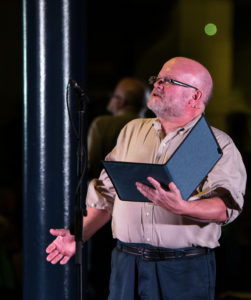 In between, it was a night of the arts – with performances by a newly-formed Interfaith Choir, prominent local classical pianist Dr. David Chafe, and displays of visual arts created by members of the Bahá’í community. These complemented dramatic readings of accounts of episodes from Bahá’u’lláh’s life as well as excerpts from His writings. Greetings from the Lieutenant-Governor of Newfoundland & Labrador, His Honour Frank F. Fagan, were shared with the gathering. Relatively few Newfoundlanders and Labradorians have heard the name Bahá’u’lláh, yet His story is poignantly connected with their own history. First World War displays at The Rooms feature the stories of young Newfoundlanders and Labradorians who died in the First World War. Yet, had the rulers of the world heeded Bahá’u’lláh’s warnings, they could have prevented that war and saved the lives of these young men. Bahá’u’lláh wrote to all the world’s major rulers in the late 19th century, urging them to reduce their armaments and to establish an international rule of law. Under this new world order, the nations of the world would rise up against any regime that invaded another country. He called upon the world’s rulers to convene an assembly where they would meet and put an end to war. However, the rulers of the day ignored His counsels. Those leaders led the world into the First World War and thus all those brave young Newfoundlanders and Labradorians to early graves. In telling this story at the celebration, presenter Harry Connors said the challenge to change hearts and communities now falls to all peoples directly. “This is our blessing now, conferred upon each one of us, to achieve personal spiritual growth, to transform our neighbourhoods and societies, to create an ever-advancing civilization,” said Mr. Connors. Today, more than five million Bahá’ís around the world revere Bahá’u’lláh as the most recent of history’s Messengers from God, whose purpose has been to guide humanity towards the advancement of human civilization. Bahá’u’lláh taught that all the world’s major religions are inspired by God. Each Messenger helps humanity advance closer to God. “These Lights have proceeded from but One source,” He wrote. Bahá’u’lláh’s Revelation signals a special time in history as the entire human race moves to a new stage in its collective maturity and wholeness. The challenges and tribulations of this transitional phase in the story of humanity resemble the changes encountered as a person passes through adolescence and becomes an adult. This Bicentennial commemoration was immediately preceded by celebrations of the Birth of the Báb. These successive days are called the Twin Holy Days by Bahá’ís, and festivities encompassed both days with events spread through the 48-hour period. There were celebrations in Bahá’í homes on Friday evening, and on Sunday afternoon Bahá’ís and guests gathered at the Network Café for a showing of a special film on the Life of Bahá’u’lláh entitled Light to the World.